Den making is a great activity for kids – not only is it fantastically good fun, but it also helps develop so many skills. It is at heart an open-ended engineering and design problem – the kids must decide the kind of structure to build, how to construct it, what materials to use… it’s a problem with no right or wrong answers as the end result can be anything they want. 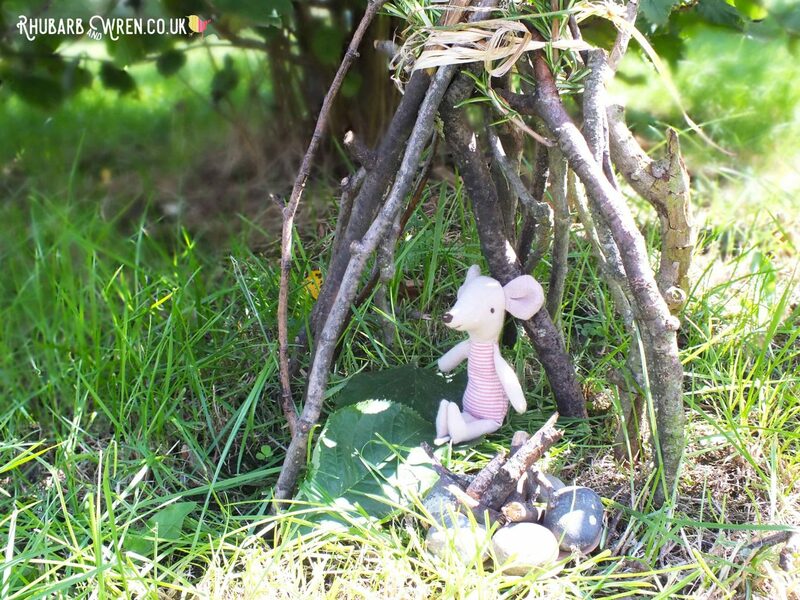 Mini dens come in all shapes and sizes, and the best ones use those natural materials that are all around them. While nothing beats the all-round amazingness of making your own you-sized den when you’re a child, making a mini den can be a less daunting introduction to the skills and problem solving needed to make a structure of any size. 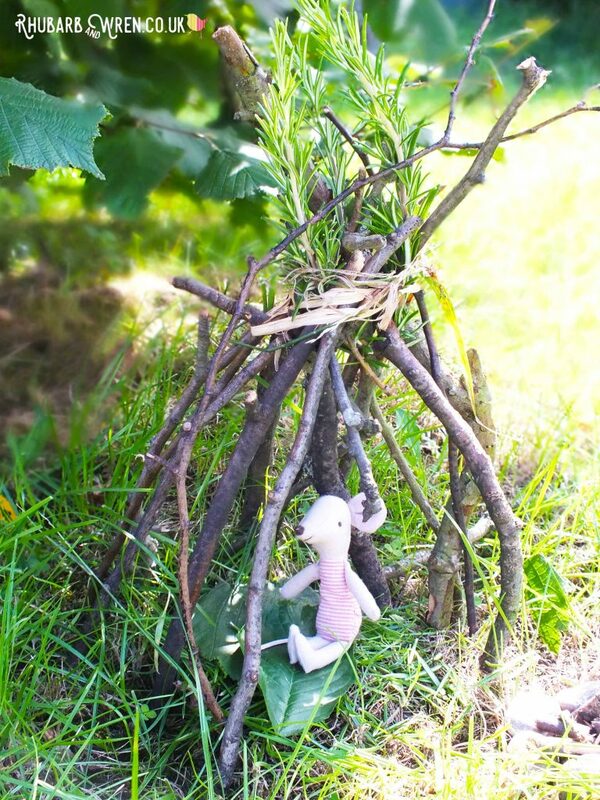 Sometimes we have a small toy with us who needs a holiday home in the woods, but it’s also great to use our imaginations and create something for the unseen inhabitants of the wood. And once they’ve got the hang of making these pint-sized palaces, they’ll be raring to have a go at making one for themselves! Dens don’t have to be on the ground! Let your kids imagination be their guide. I like to start the kids off building a mini den by asking them to find a location for their structure. As with any building, the right location can make all the difference. Who wants a den next to a stagnant, stinky pond? Or if they build it in a ditch, what will happens when it rains? Posing questions like these gets them thinking like architects and engineers – not just solving problems as they come up, but anticipating and avoiding issues too. I make sure to use words like ‘survey’ and talk about us being ‘surveyors’ as we search for our site, and the kids love hunting for, assessing and dismissing as inadequate, various possible plots before they find the perfect one for their mini den. 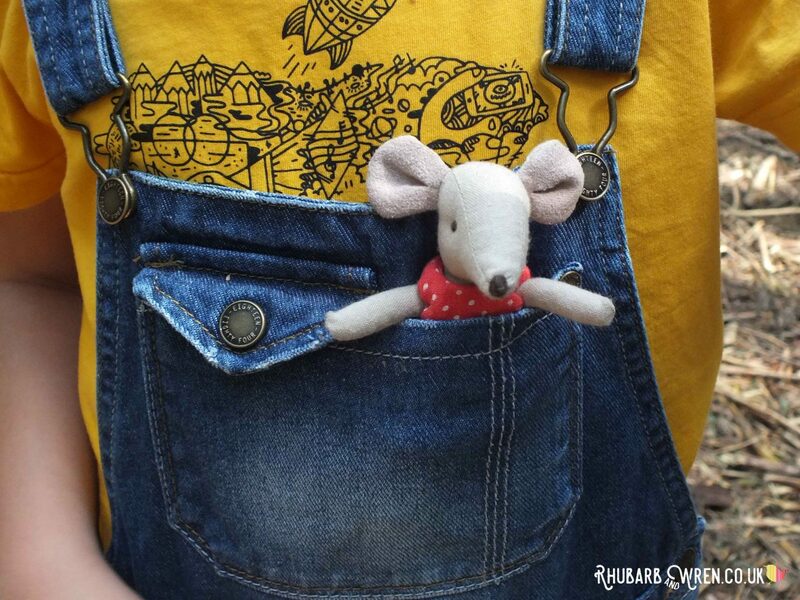 Maileg Mice make the perfect pocket toy for taking out and about! ​I’ll challenge my little ones to think about who (or what!) 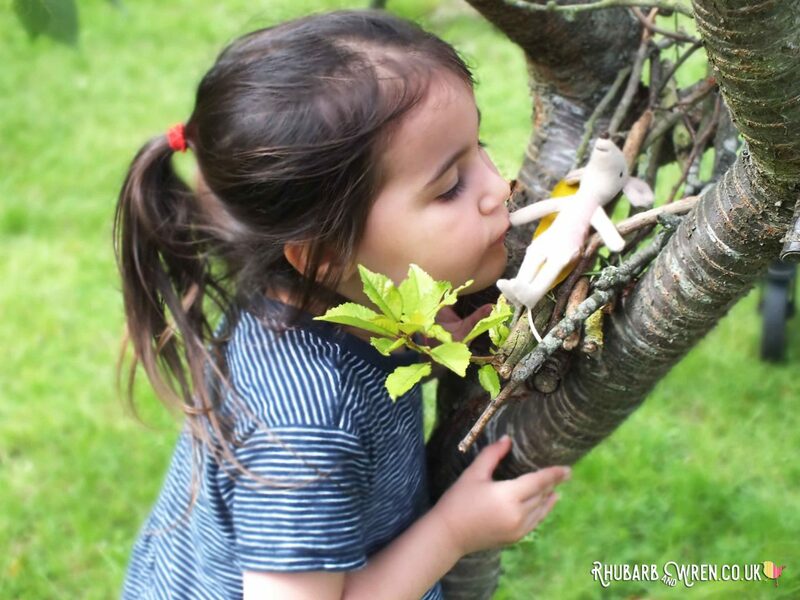 they’re building for as well – will they make a Home for a Gnome, or a House for a Mouse… Our Maileg mouse was sent to us by the lovely people at 100 Toys (you can read our review of this toy here) and has become an instant favourite as a companion to take on outings like this. Big Sister Mouse is a great size for popping into a bag or pocket, and makes a very good tenant for our Mouse House mini den. We’re fond of imagining where different kinds of woodland inhabitants would prefer to live too – a Hidey-hole for a Mole needs to be on the ground, but build it higher up and you have an Eyrie for a Fairy (it’s all about the rhymes!). Will it be big enough for a fox, or just the right size for a ladybird? If you know (and who now doesn’t!) the Gruffalo, it can help to talk about the different houses the animals have in that book as inspiration. 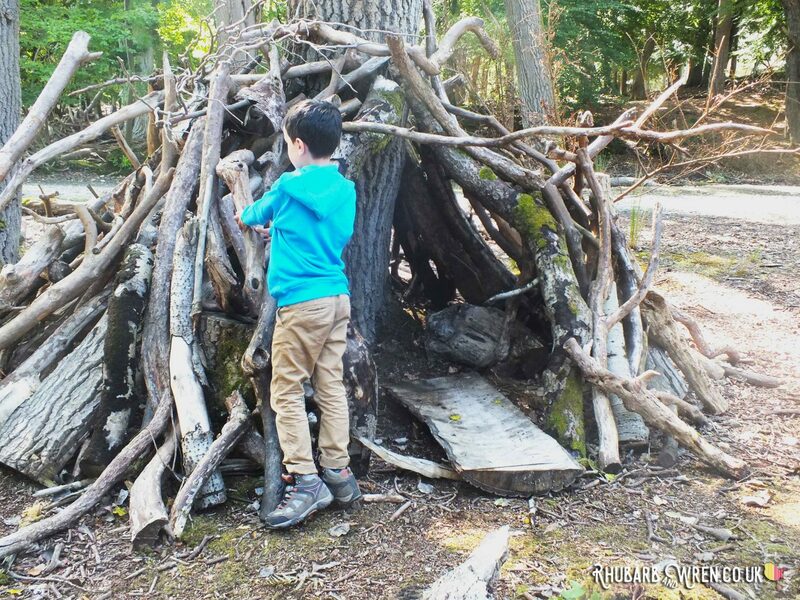 Once they have their location – inspired perhaps by a particularly gnarly tree, cool-looking log, mossy stump or a pretty clearing – then it’s time to gather their materials and build their mini den. 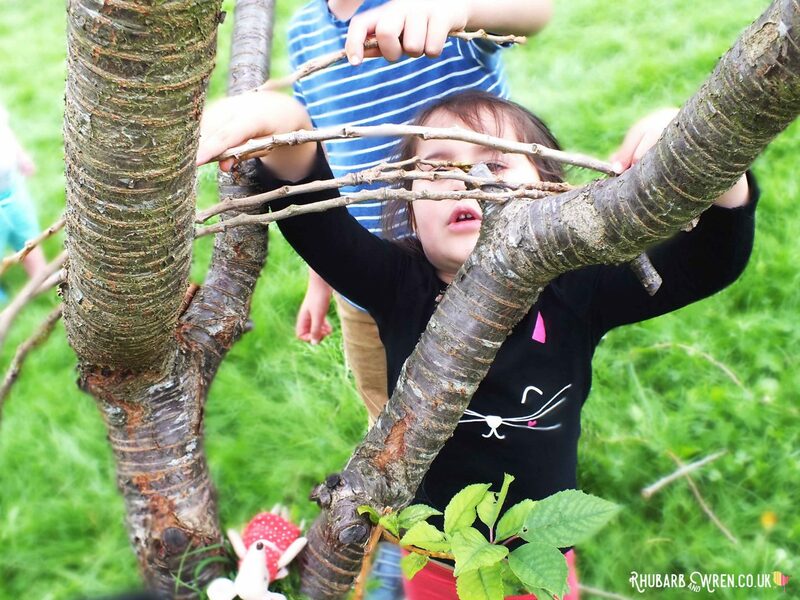 Let kids build however they want – it might not look like much to us, but every twig here has been carefully selected and placed. The simplest of structures is the lean-to. 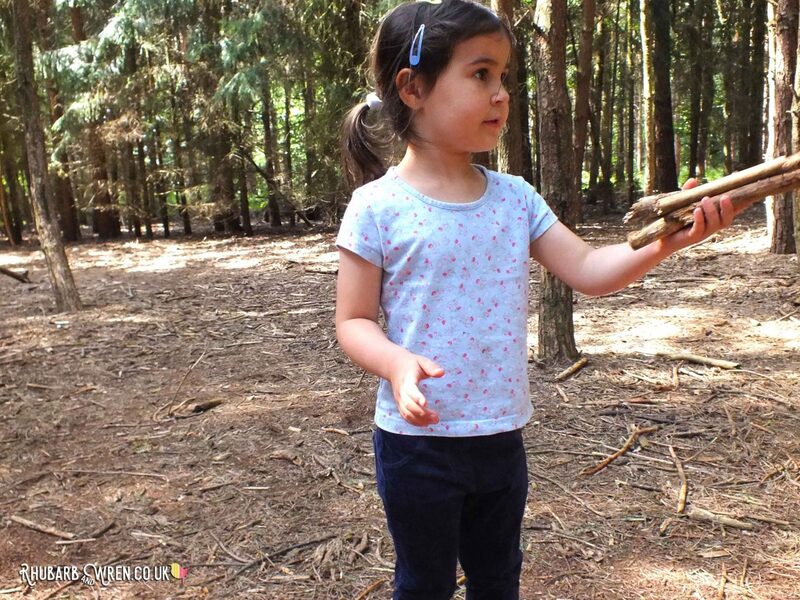 The kids will need to find something solid, to be their structure support, like a tree trunk, log or rock,. Then, they’ll need to find branches, twigs or plant stems long enough to, yes, you guessed it, lean against their support. Now, even though this is pretty much the simplest shelter you can build, it still has challenges. Is their support strong enough? Is it wide enough? How will they get their branches stay in place? What about if it gets windy? How can they stop rain getting in? I like to let the kids build freely once they get going, but prompt them from the sidelines with questions like this, to encourage them to always think harder and build better. 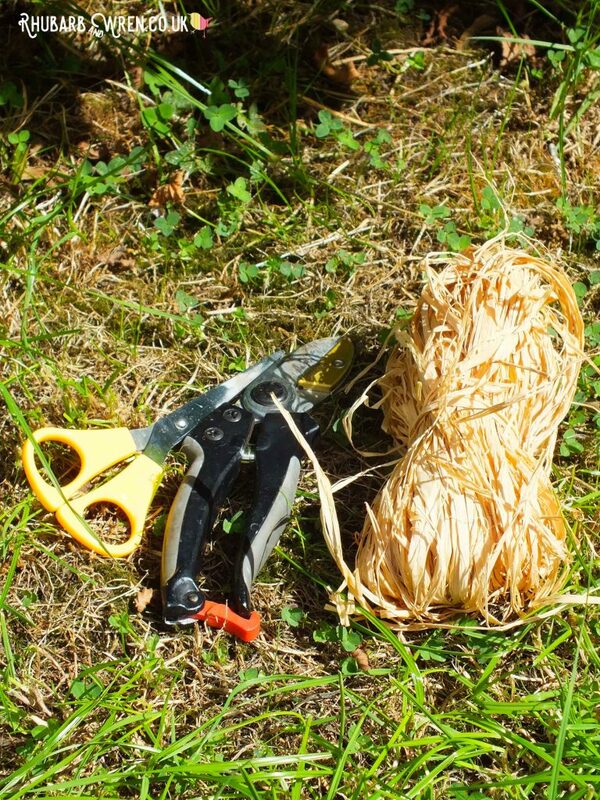 Bring along some natural material to use as string in case the den building area is lacking in supplies. ​A teepee is probably the next step up in complexity from the lean-to. These structures are free standing, so the kids will need to make sure the supports for their mini den are strong and secure, or the whole thing will tumble down! I encourage the children to find some strong, straight and rigid sticks, pointing out that the length of the shortest stick will determine how tall their tepee can be. Crab apples make marvellous mini food. To make a teepee, they’ll need to push the ends of their sticks into the ground in a circle, then gather and tie the tops together. The big challenge here tends to be figuring out what to tie the tops together with (long grass or bamboo stalks, or young climbing plants like honeysuckle work well). At a push, if nothing is suitable, they can just lean the sticks together – they may need a central support post for this though. Miss Mouse is ready to light the campfire for dinner. ​Sometimes they’ll consider the tepee finished at this stage. Other times, they’ll want to fill in the walls. Bigger teepees are great for practicing weaving, so I encourage them to find thinner, more pliable sticks or some more long grass, and then weave them into the support sticks that form their teepee’s skeleton. If the gaps are very small, they can just fill them with leaves and moss and mud rather than weaving, or use a combination of both! It’s a great opportunity to talk about traditional building methods like wattle and daub – my guys love gross details like learning about how traditionally animal hair and urine was used in the mix (something we haven’t copied!). Making a den can be a great collaborative exercise too. A dome is a nice alternative to a teepee, especially when building for very tiny clients. 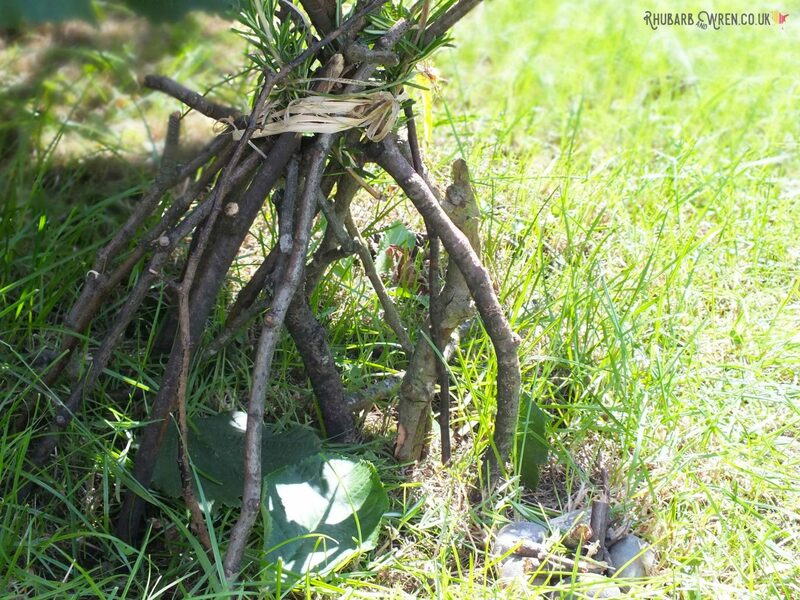 For this kind of mini den, they’ll need very bendy sticks (so thinner is better) – or even long, stiff, stalks of grass – and will stick both ends in the ground, crossing them over each over at the top to form the dome. Alternatively, they can stick their supports in the ground in a circle, like with the teepee, but this time fasten the tops near the bottom of the opposite stick. You can get some interesting shaped structures building this way, so it’s a good one to play around with. And again, once the basic structure is done, the kids can weather proof with weaving or daubing (or both). A mini den doesn’t have to match our expectations for shelter! With any den, they’ll need to leave a doorway, but can they also make a window? What about inside the den – the flooring and furniture? This activity is about having fun and using their imaginations so all these decisions are up to them. As always, I try to prompt them to think about various options, not instruct them how to do it, but den building is so compelling, it’s hard to resist joining in! 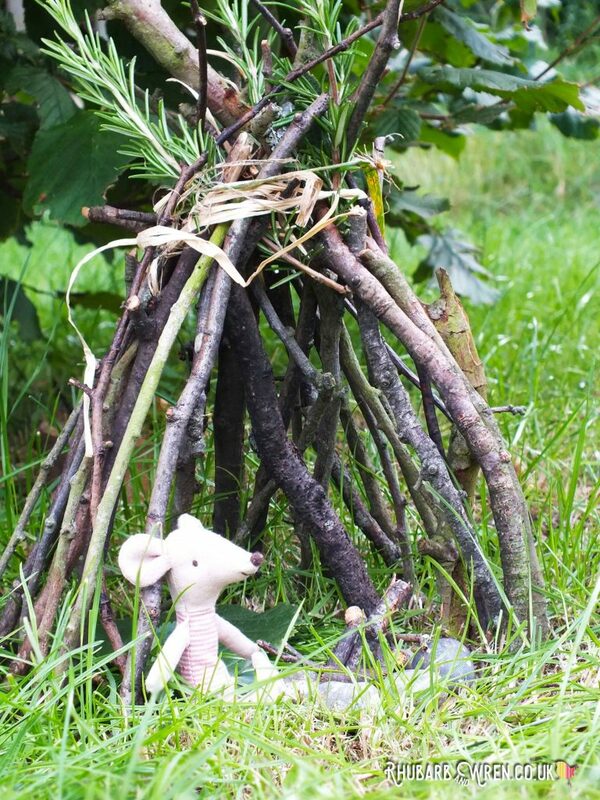 And once they’ve made a few of these adorable mini-dens, they’ll be champing at the bit to make a kid-sized one too. Using leaves to fill the gaps in their shelters makes for a cosy little den. 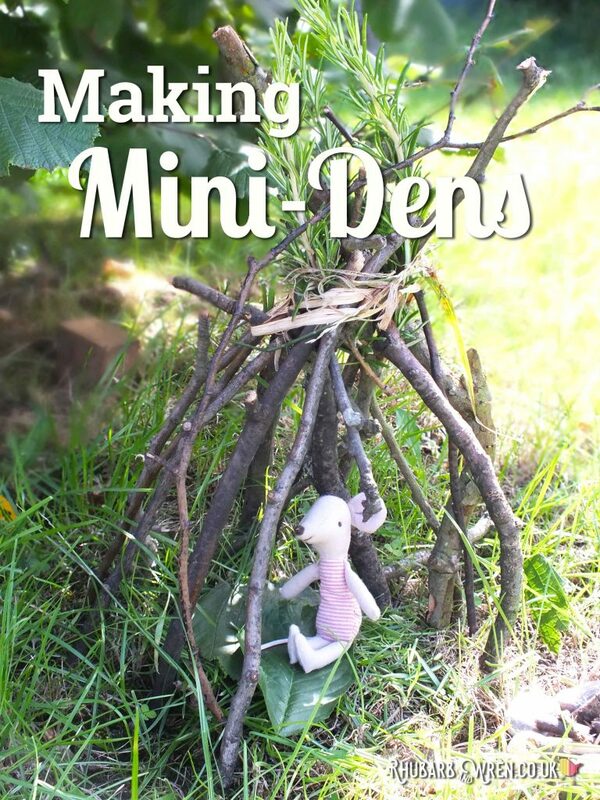 There are as many different ways of building a mini den as there are trees in the forest, so once they’ve absorbed the basic concept of finding a good location and strong supports to build from, then they’ll be sure to come up with great ideas of their own. I think it’s an important part of the experience that they be allowed to run with this, but there are a couple of things I insist on, from a safety point of view. Be careful with your materials. Especially when using larger branches and sticks (and even more so when building full-sized dens)… they can be pointy and heavy, and will hurt if accidentally jabbed or dropped onto someone. So watch where you point them. 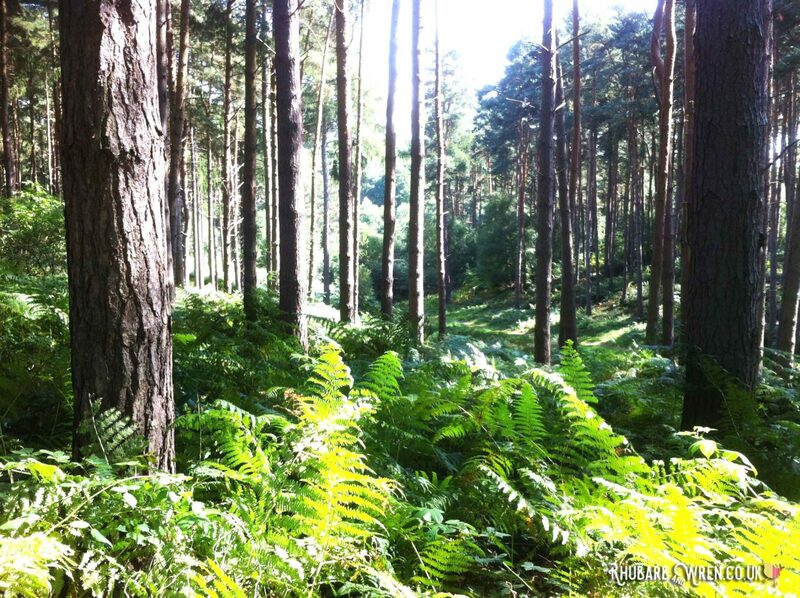 Don’t use ferns – bracken (a very common fern in the UK) is often home to ticks, which can give a nasty bite and sometimes carry an even nastier disease. To be safe, we avoid all ferns when out and about. Don’t eat the plants! Very few UK plants are deadly poisonous, but there are still plenty that will make little ones feel ill. Again, I find it’s best to have a blanket policy of no eating, unless we’re absolutely sure of what a plant is. Watch out for stingy nettles. But yes, at some point we all get stung. As most people know, the dock leaf is a great antidote when this happens. I find it works best if crushed first before going onto the affected area. I also always carry antiseptic cream, just in case. And lastly, an environmental rather than safety point – we always try to leave the woods just as we found them, and follow the Countryside Code (even when in a more urban area). 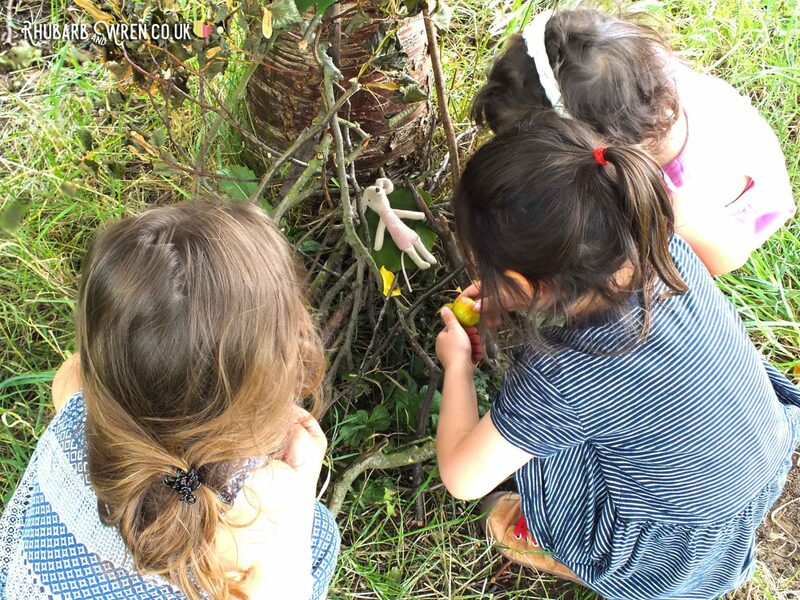 It’s important that kids know to avoid damaging the plants or trees when out in the countryside and is part of teaching them respect for our natural environment. 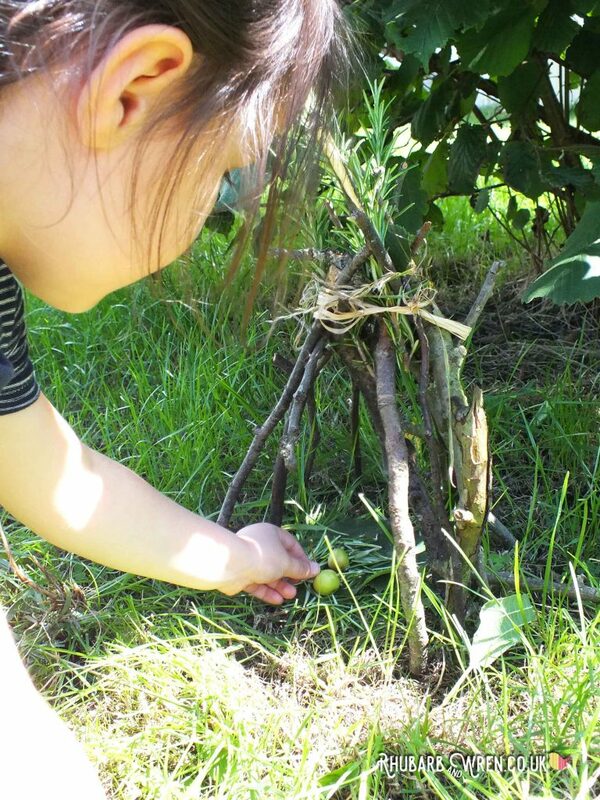 There will usually be plenty of materials for mini den making to be found in woods. 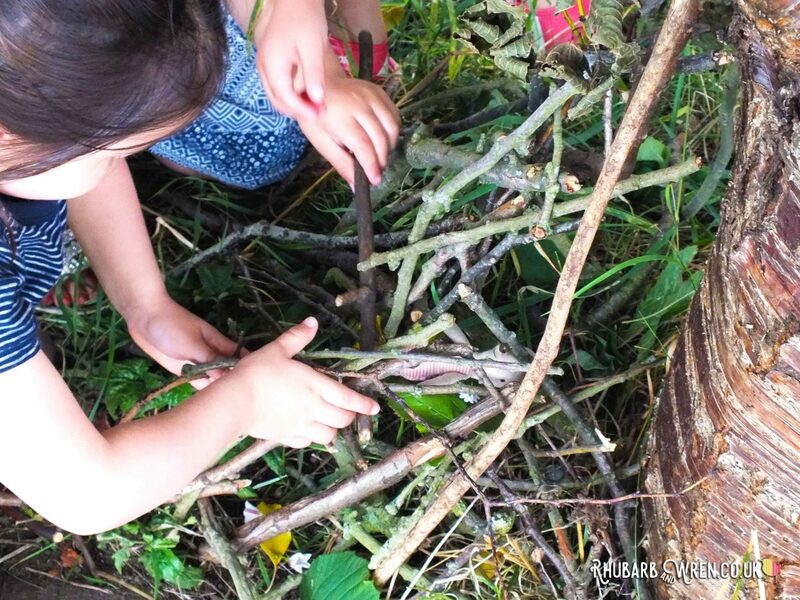 There are usually plenty of fallen materials to harvest for our mini den, and using only found debris rather than cutting or breaking off sticks is also part of the challenge when gathering resources. 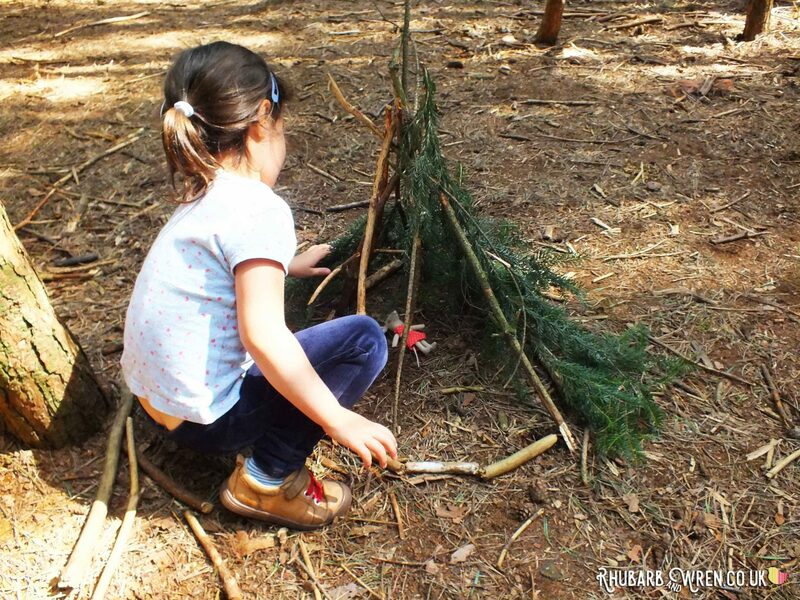 ​Having said that, when going mini den building in the woods with very young kids, I find it helpful to take along the following basic equipment – it’s not necessary to do so, but it can make things easier or, conversely, allow for more complicated builds. (This list contains affiliate links, for your convenience, but you’ll probably have all the things you might need already! A ball of raffia (our favourite! ), twine or other natural material ‘string’ in case no natural materials for fastening are available. 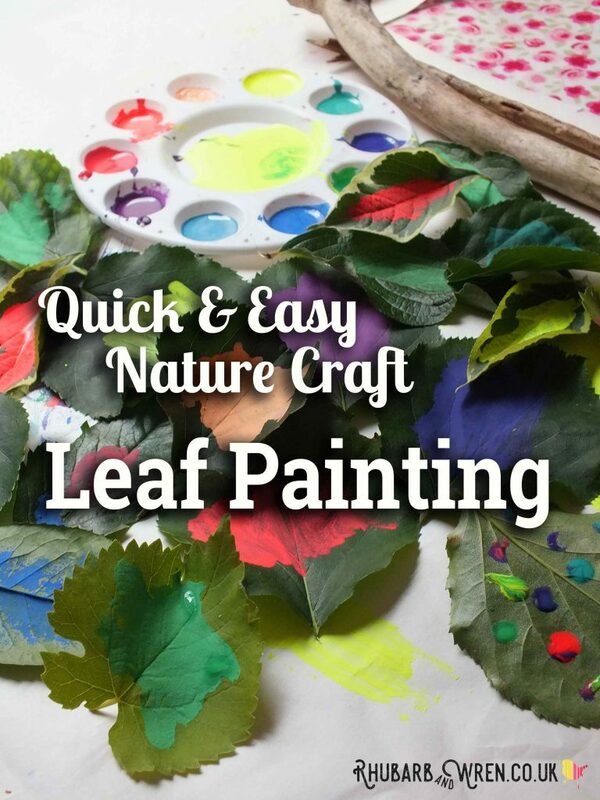 With natural materials, there’s less need to police all the lost bits at the end of play. These secateurs are small enough to fit into your pocket or bag and are great for cutting those fallen twigs and branches to size. And finally, let the kids take along a small toy or two – if you bring varying sizes it will mean making different sized residences, which can make for a fun challenge. We were sent our Maileg Mouse for review by the lovely 100 Toys but as they will shortly no longer be selling toys, these are some of my favourite Maileg Mice that I’ve found on Amazon (affiliate links). Scissors, secateurs and some raffia for den making. A house for a mouse! Making a den of any size is a fantastic activity for kids. Looking for more fun? Check out some of our other activities! Quick and easy mud kitchen for the ultimate in messy play! 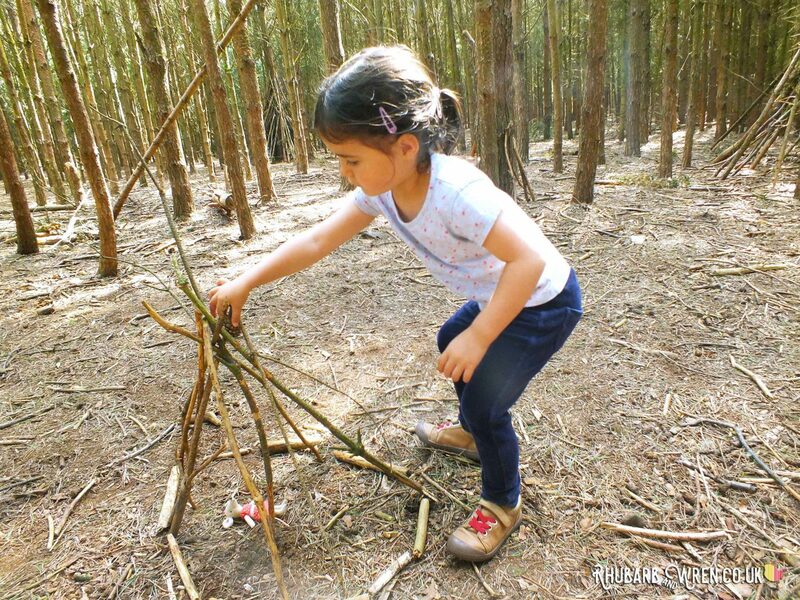 Learning Through Play, Nature, Preschool Activities, STEAM, Things to Do With Sticks. Bookmark.